Mr Frosh is a senior Ear Nose and Throat Consultant with extensive experience at consultant level. He is able to provide an expert opinion and management on Ear Nose and Throat conditions, including children’s ENT (such as ear and hearing problems, grommets, tonsillectomy). 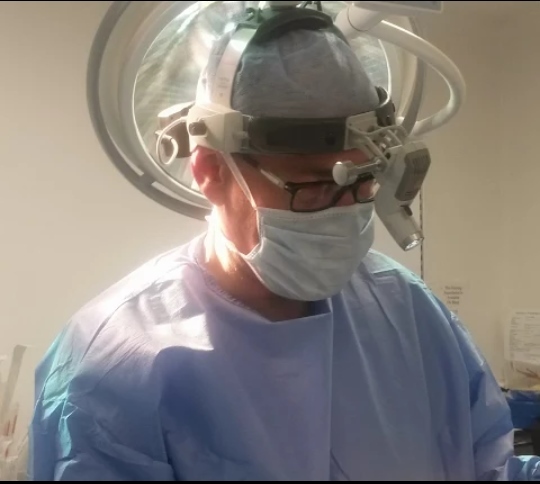 He also has extensive sub-specialist expertise in sinus, allergy and nose conditions, and is one of the few surgeons in the country that can provide curative surgery for nostril collapse problems. He runs a specialist voice clinic, and manages patients with swallowing and throat problems. He botox treatments for certain conditions as well. He also provides a specialist headache service. He works in partnership with other experts in speech therapy, audiology and other services to ensure the provision of a comprehensive service where possible. His patients can expect a high level of care for a full range of routine and highly specialised ENT services, for both adults and children. All patients are seen by him, the consultant – not junior staff. He also only operates with experienced consultant anaesthetists. Mr Frosh is also able to offer treatments and for conditions that are no longer funded by the NHS – such as help with snoring and sleep disorders, as well as desensitisation treatment for grass pollen allergy . He works in the Hertfordshire area, covering patients from Hertfordshire, Bedfordshire, Essex, Buckinghamshire and North London. You can make an appointment to see him via the contact details here.